I live in the north of England with my home river being the Tyne. I have been fishing since my father put a rod in my hand at the age of 5 and have fished for most UK species over the years. 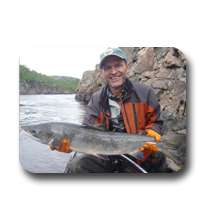 The last 10 years I have been fly fishing for rainbow trout, brown trout, pike, salmon and sea trout. I have been tying flies for as long as I have been fly fishing and like to push the boundaries with both materials and fly design. I believe that movement in the fly is one of the best triggers for a take and I try and build this in to every fly that I tie. I also believe that material quality is very important when tying flies and will not compromise when searching out the very best to tie with. I live in the north of England on the banks of the North Tyne. I have fly fished for over 20 years mainly for salmon, sea trout and brown trout but will cast a fly at anything given the chance. Today I mainly tie salmon and sea trout flies - from traditional patterns, through to more recent flies such as the piglet. Lately I have been scaling down some Scandinavian patterns to sizes more commonly used here in the UK, whilst also looking to North American flies for new ideas. I am constantly trying to improve the movement and fish appeal of the flies I tie and the ongoing developments in materials available to the fly tier has helped this no end. I’ve been fishing my entire life. Going along with my brother and father in the archipelago of Stockholm, fishing for Pike and Perch in the spring, summer and fall and then ice fishing in the winter. Fly fishing came into my life later giving me a fever for trout and grayling as I started to travel north to hidden mountain streams and fast flowing rivers. 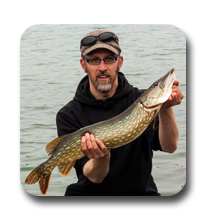 Still loving the hunt for Pike I also adapted fly fishing to my home waters and my fishing interest grew even bigger. At the same time as I started fly fishing I also started tying flies. I quickly fell in love with it and discovered that I had the ability to learn quickly and start developing my own patterns. 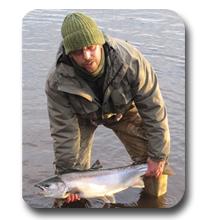 I live in Belfast and for the last 6 years I have travelled near and far in pursuit of Atlantic Salmon. 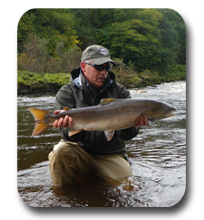 In Ireland I fish the rivers Mourne, Finn, Derg and Moy. I have been tying flies for approximately 5 years but work commitments mean I'm tying up a few flies in a hurry to use on my next trip (usually every weekend! ).While I tend to tie Irish Shrimp Flies I do adapt my tying to suit the destination river or prevailing water conditions. Fly tying is always much more enjoyable when you use quality materials and I use these materials to produce flies that work. I was born in southern Sweden but now live in the north in Luleå. I moved because I started my education to become a fishing guide. I’ve been fishing almost my entire life. 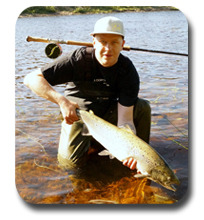 When I lived in southern Sweden I fished mostly for pike and trout, but now that I live in the north I only fish for salmon and sea trout. With fly fishing came fly tying and I think it's as much fun as fishing itself. I am always looking to learn more and love to try new materials and methods. However, I believe that the quality of materials is very important. I live in the Suffolk countryside with my Labrador Eider, and my husband Jonny who created and fed my interest in fishing. 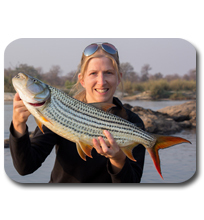 I fish mainly for Pike, Chub and Bass, but have fished for Salmon loch style in the Outer Hebrides and for Tiger fish in Zambia. I have been tying longer than I have been fly fishing. I discovered fly tying in a New Zealand tackle shop when I saw all the packets of fur and feathers but couldn't figure what they were for. Jonny explained they were for tying fishing flies and he thought I'd be good at that. I started tying Salmon and Sea Trout patterns but now mainly concentrate on Predator flies. I do not compromise when choosing materials for my tying, I believe that it makes a huge difference to the 'life' and movement of the fly and really makes them stand out.